Kingston – where a unique blend of urban and rural combine to make one remarkable city. 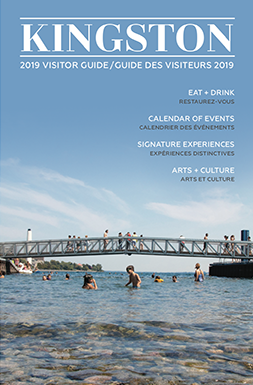 With historic roots, rich culture, a vibrant restaurant scene, local creators and everything in between, Kingston abounds with a unique flavour. Sit on a patio, watch the sailboats on the lake, take in a live performance, or simply lose yourself in the street scene around you. The heritage of Kingston and its limestone beginnings have seeped into every aspect of this place, where a leisurely pace is encouraged and the good things in life can be savoured. The 2019 Theme for the Ian Walsh Photography Contest is ‘Made in Kingston’, with the goal being for passionate people – residents and visitors – to submit their photos capturing Kingston’s vibrant maker community. We want to see it all: farmer’s fields growing local produce, our vibrant live music scene, unique creations from our talented maker community, plated appetizers and entrees, works of art from our artists and creators – if it’s made in Kingston, we want to see! Just a reminder that this contest is open to everyone – both professionals and hobbyists alike! Before entering, be sure to read the contest’s Official Rules and Regulations. Vote for your favourites now on Facebook until February 17th! The Ian Walsh Photography Contest was established to honour a pillar of the Kingston community who was taken suddenly in 2014. With a generous spirit, good nature and gentle wit, Ian’s dedication and passion for the arts and the community of Kingston left a lasting impression on everyone he met. An accomplished business person, Ian was the co-owner of the Hotel Belvedere, charter Chair of Kingston Accommodation Partners, and a charter Board Member of Kingston WritersFest.